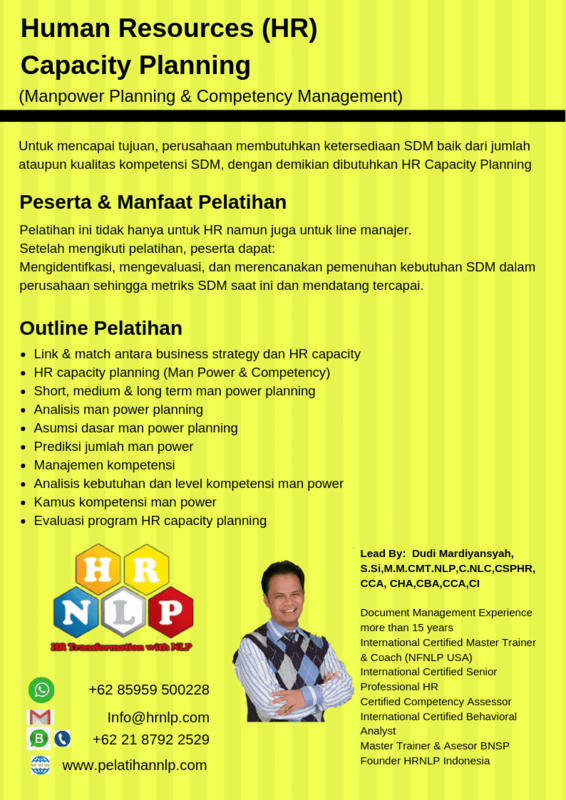 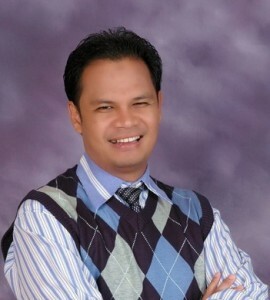 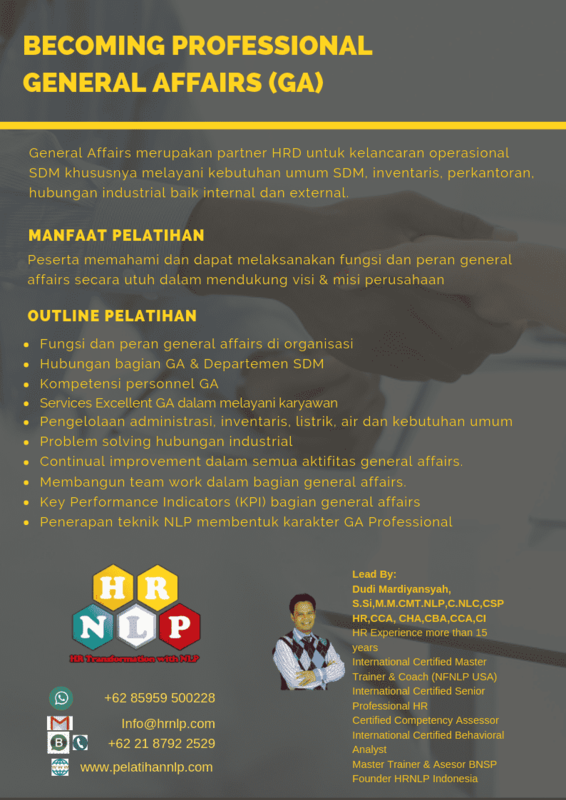 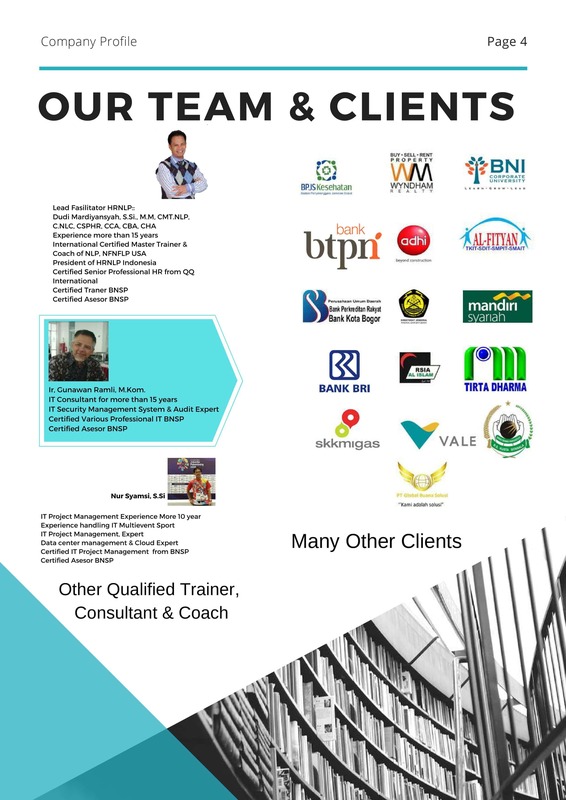 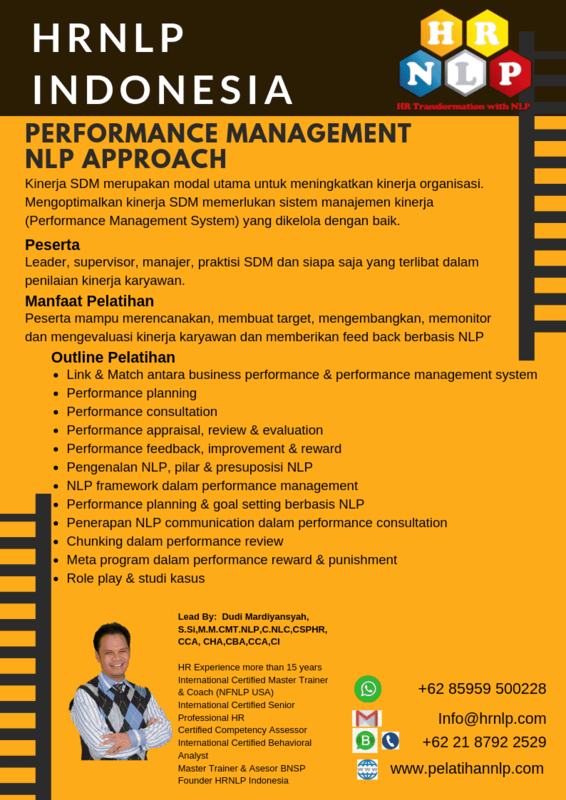 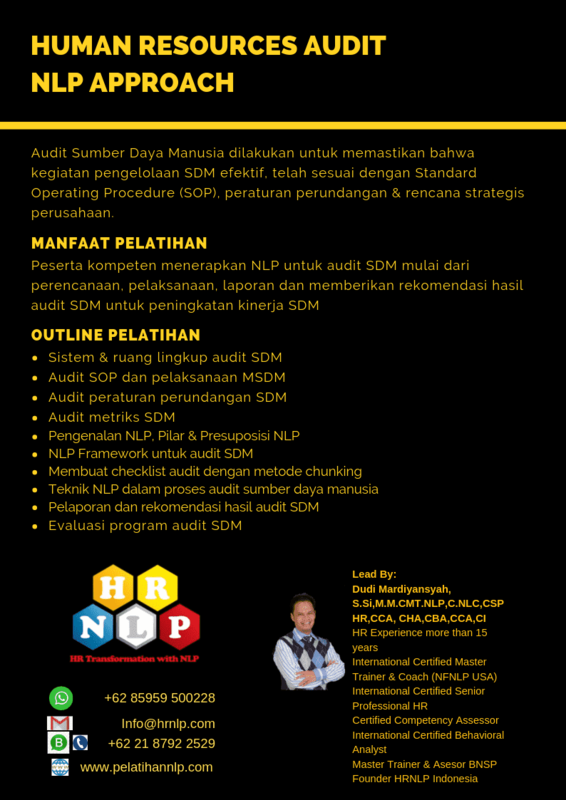 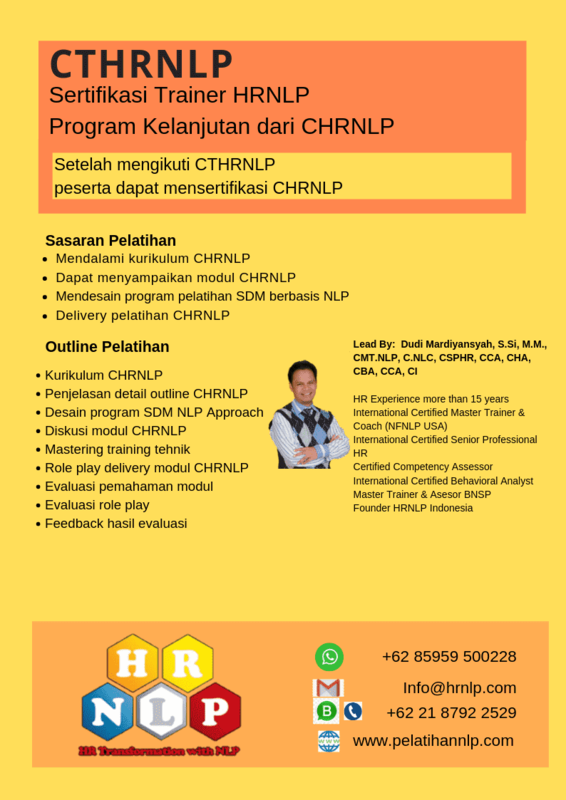 Dudi Mardiyansyah, S.Si, M.M.,CSPHR, CMT.NLP, CNLC,CCA, CHA, CBA, CI. 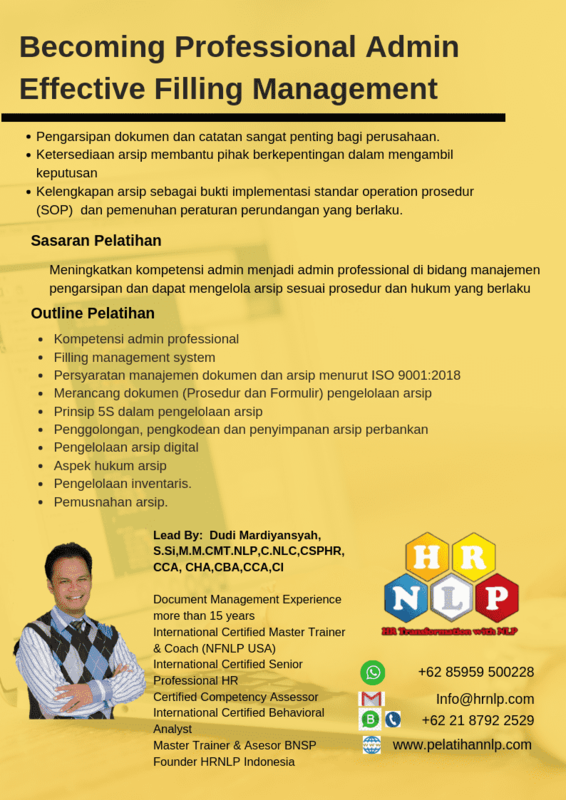 Magister Management from Mercubuana University GPA 3.94. 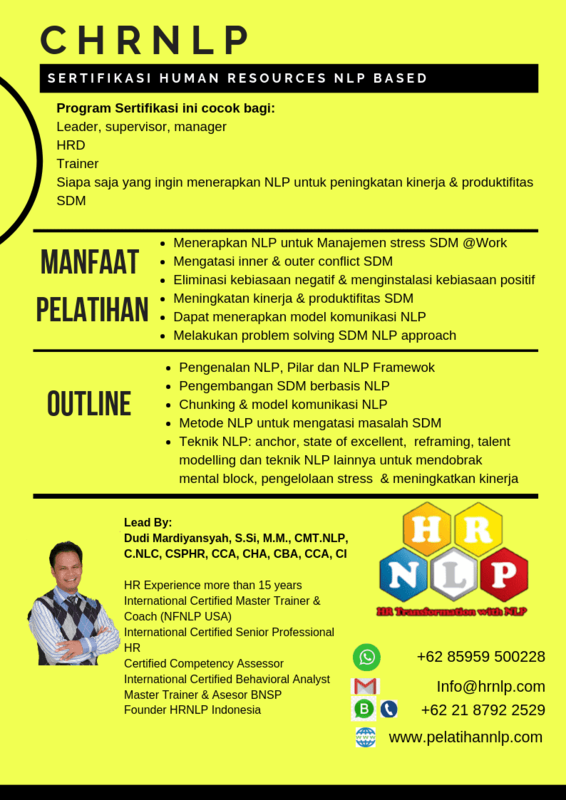 Competent in management especially in NLP change management, Human Capital Management, people and organization development. 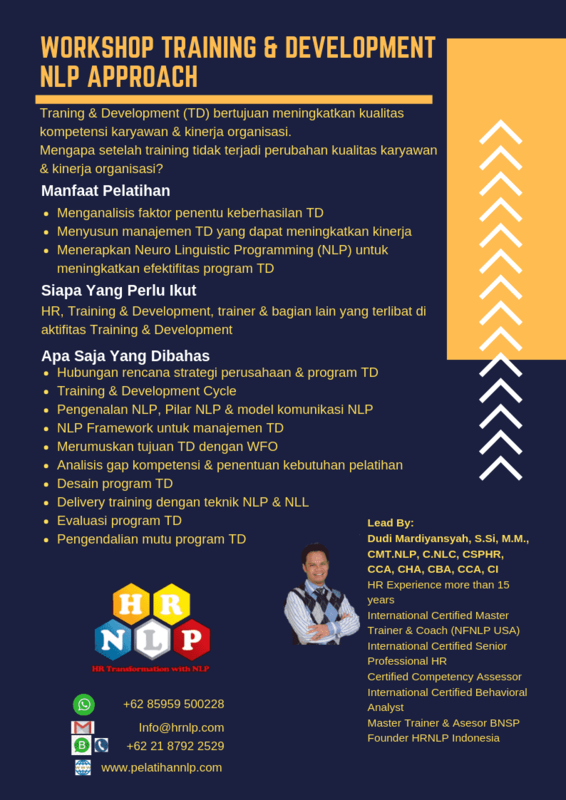 Human resources management practitioner, trainer, coach and guest lecture for more than 10 years, Experience in design e-learning, managing training and organization development program (Training need analysis, deliver training, evaluate trainer performance, evaluate training program), performance management, talent management and career planning. 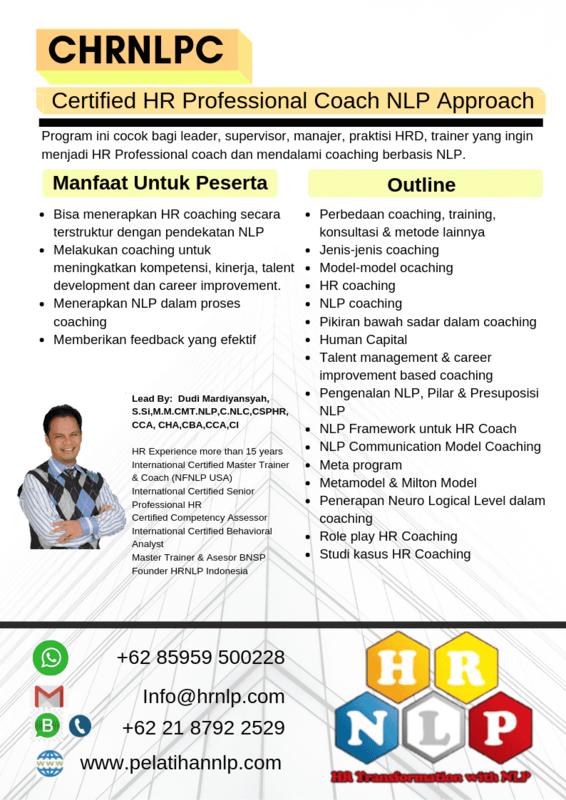 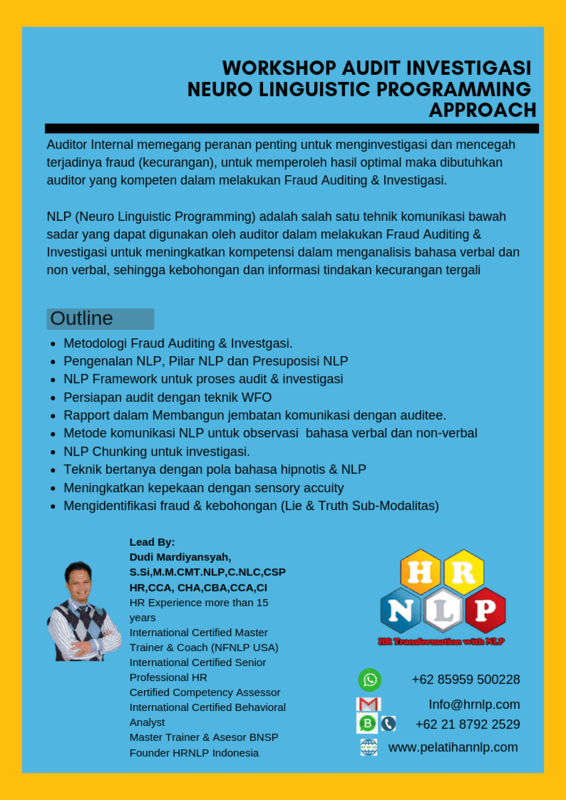 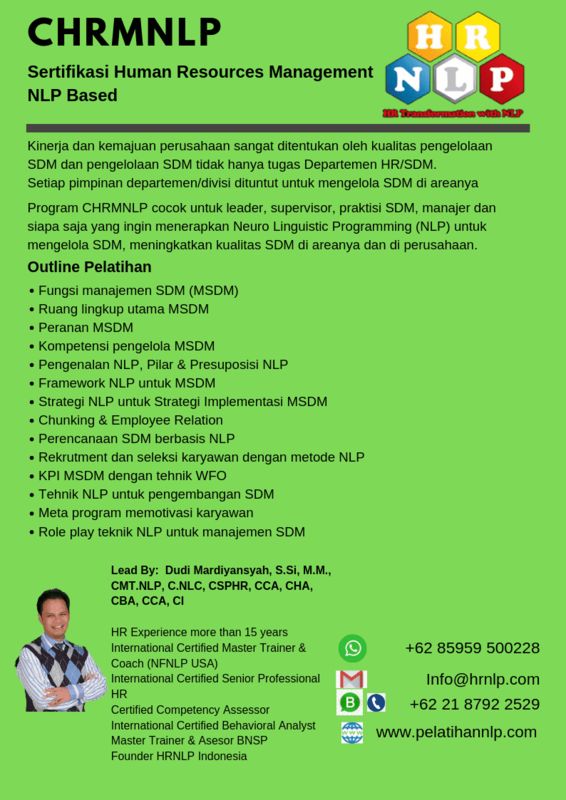 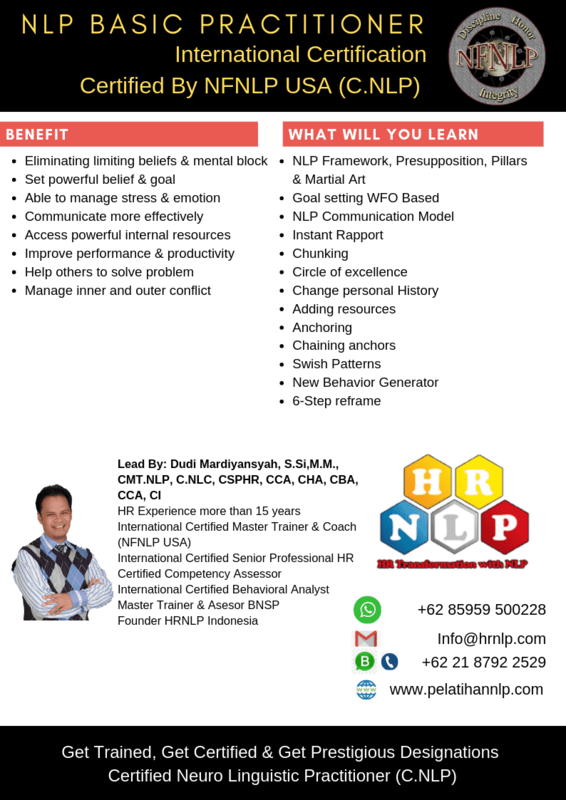 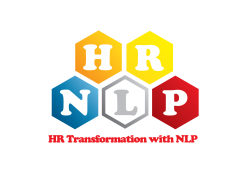 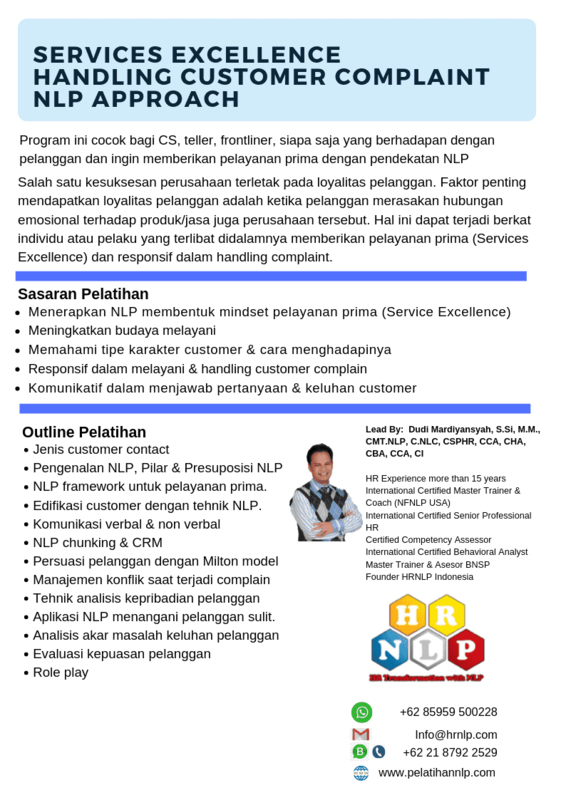 Expert in Neuro Linguistic Programming (NLP). 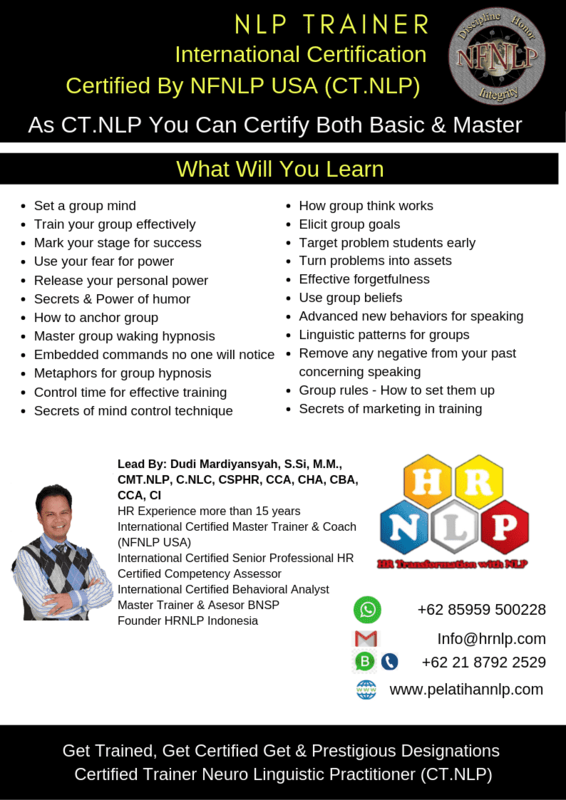 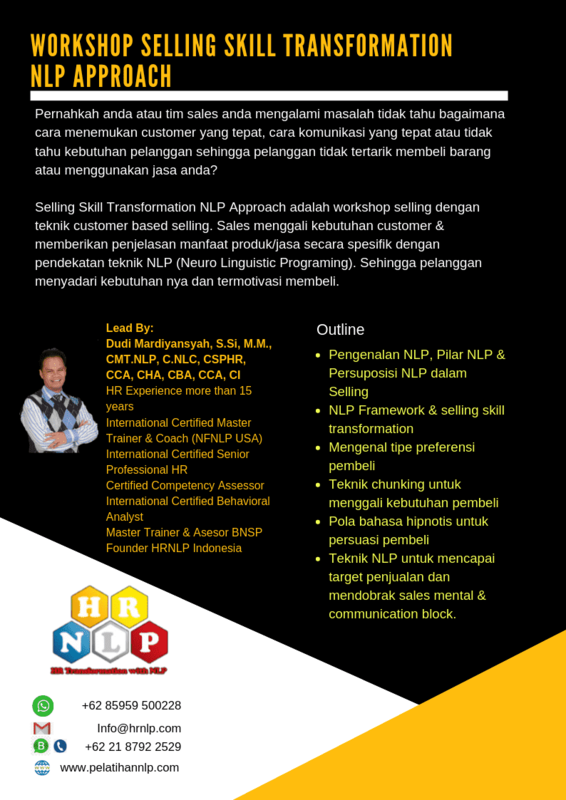 Certified Master Trainer NLP (CMTNLP) & Certified NLP Coach from NFNLP USA. 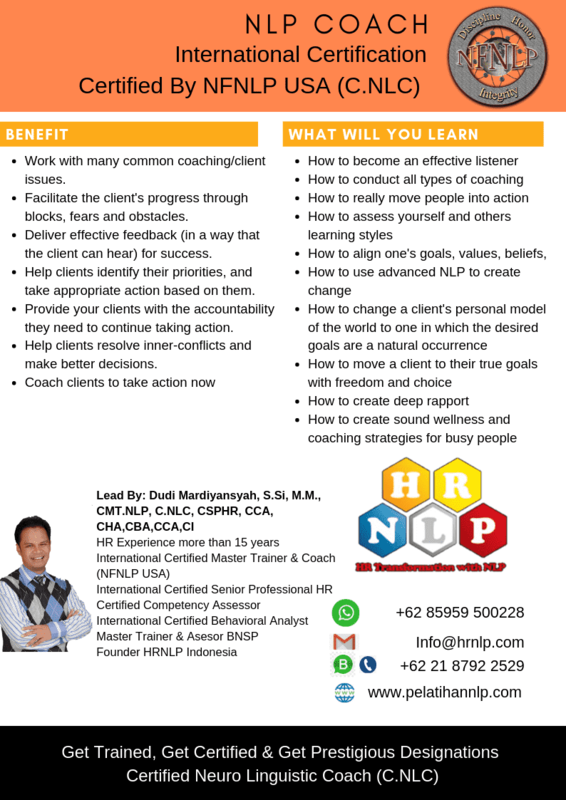 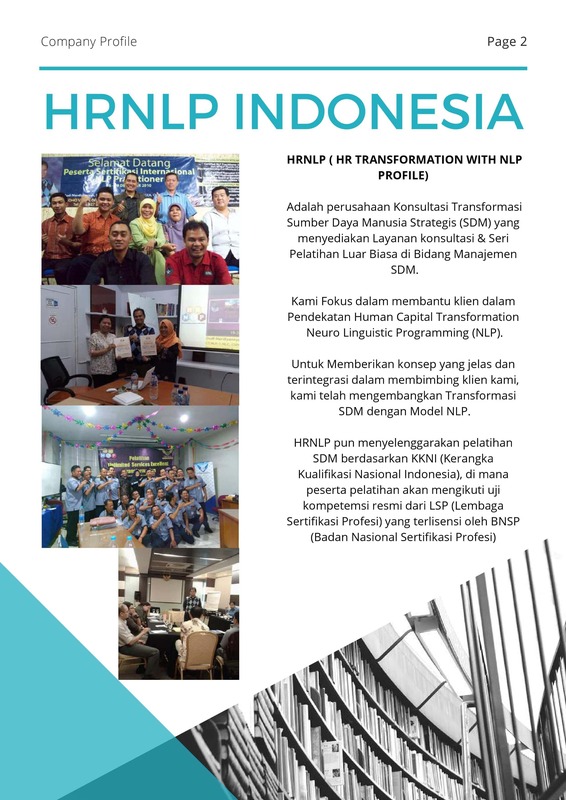 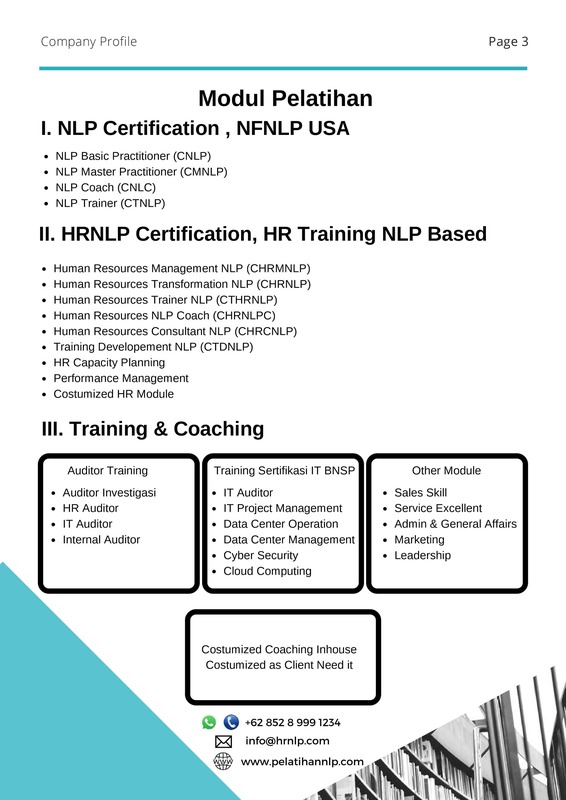 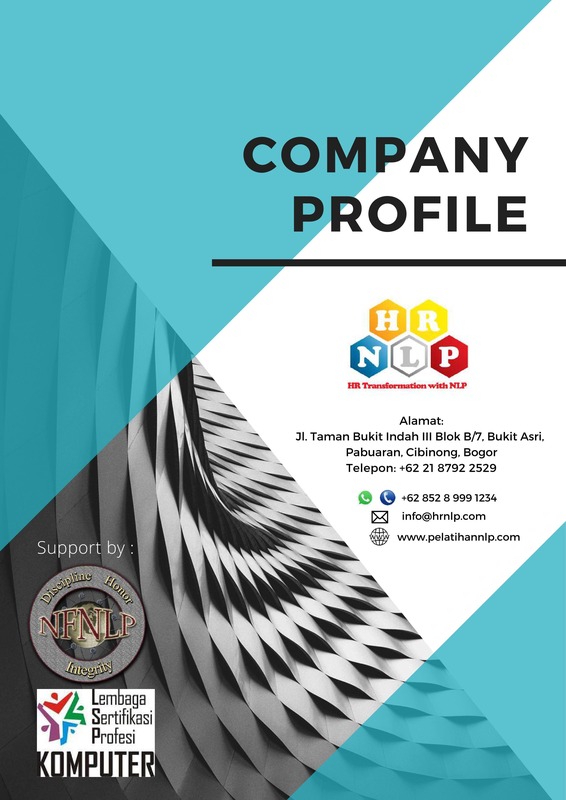 Design more than 50 training modules NLP approach, deliver to more than 50 organizations, university, train more than thousands people and coach more than hundreds people inside and outside organization.